Graham N. Arad - Academic Assembly, Inc.
Graham Arad is an international corporate and commercial lawyer admitted to practice in New York, England and the British Virgin Islands. He has served as an international business advisor and counsel to diverse businesses and investors from New York, to London to Hong Kong. 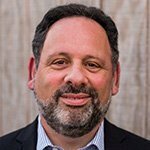 From 1999 to 2015 Mr. Arad served as Senior Vice President, General Counsel and a Director of Planet Payment, Inc., a NASDAQ listed, provider of international payment and transaction processing services in more than 20 countries around the world. As co-founder, Mr. Arad managed the Legal and Human Resources Departments. As a main board Director he participated in strategic and policy decision making for the Company and its subsidiaries including investment funding and finance, merger and acquisitions, investor and personnel matters. Mr. Arad’s expertise is in global business, internal business processes – including finance, technology and operational teams – as well as working with external advisers to address all aspects of these multifaceted relationships including technology solutions, commercial arrangements, taxation, and regulatory requirements. Prior to Planet Payment, in 1993 Mr. Arad became a co-founder of the law firm of Beck & Arad, LLP a New York and British Virgin Islands based, boutique, commercial and corporate law practice that focused on international business and working with technology companies. As early advisors on and adopters of the commercial Internet and e-commerce, Beck & Arad’s practice lead directly to the foundation of Planet Payment. Growing up in England, Mr. Arad obtained his law degree from the London School of Economics. Following admission as a Solicitor, he became a partner in Robert Gore & Company, a commercial law firm in London before moving to New York with his family in 1991.